The geometric lines of this collection offer harmonious symmetry with a sophisticated contemporary appeal. 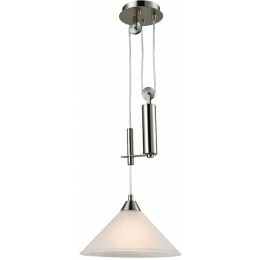 A perfect complement for kitchens, billiard parlors, or any area that requires direct lighting. Featured in satin nickel with white marbleized glass.